This section is dedicated to teach how to write a meaningful and focused narrative. Prof. Prabhat Jha explains good and bad point of the real narratives from field. Consider choosing high quality video (for example, 720p HD) or bigger screen option at the bottom right Youtube video menu. Click and view the written critique in case of technical issues or time limit. Images below are screen captures of the video tutorial. Let’s go over this narrative. This generally present good features for physician coders to assign the cause of death. 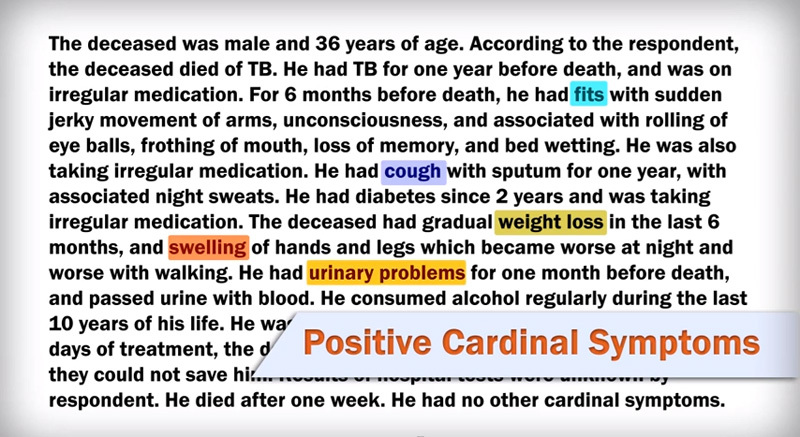 First of all, positive cardinal symptoms are clearly mentioned. 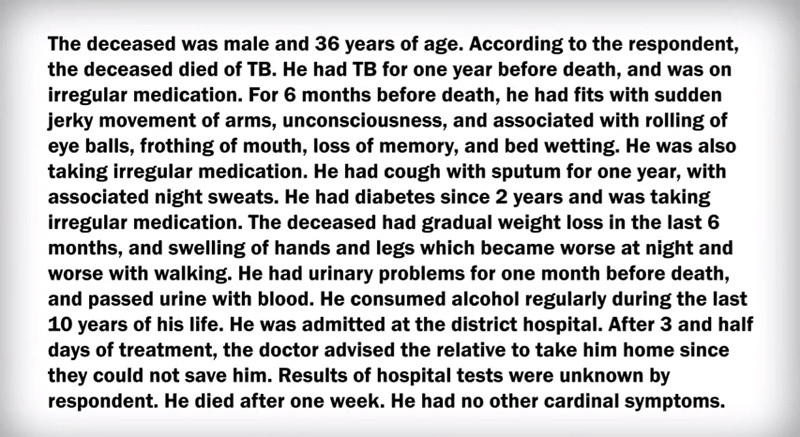 There is evidence of using the Cardinal Symptoms List. And each symptom was probed by the questions in the Cardinal Symptoms List. For example, details of the cough include whether it was wet or dry, and whether it was associated with night sweat or not. 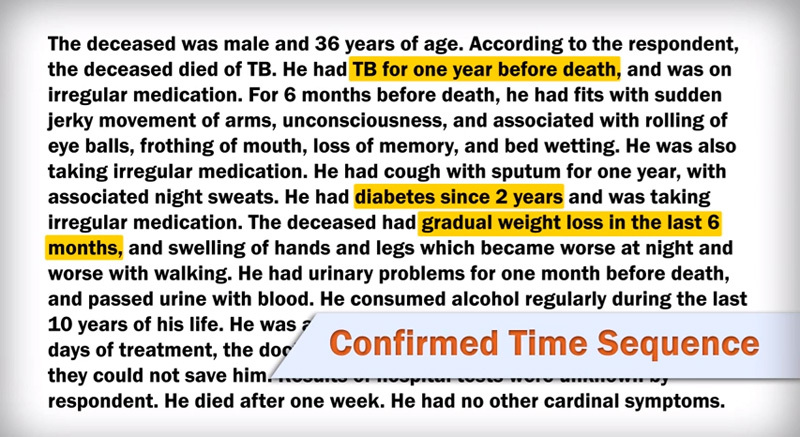 This narrative also shows clear time sequence of the events and symptoms. 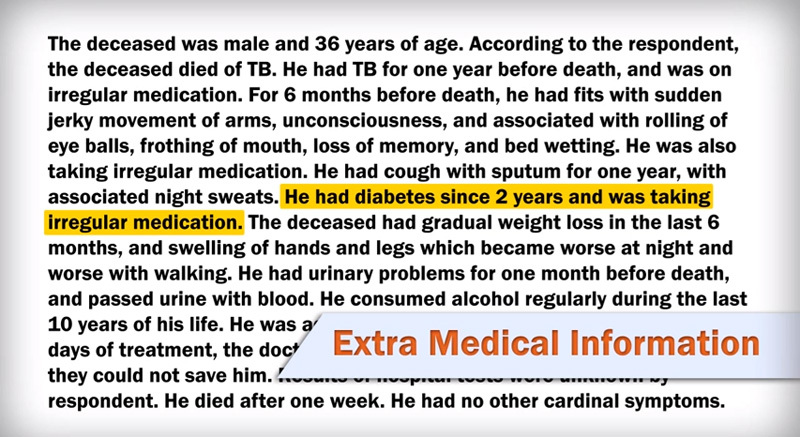 And extra medical information was described as well. 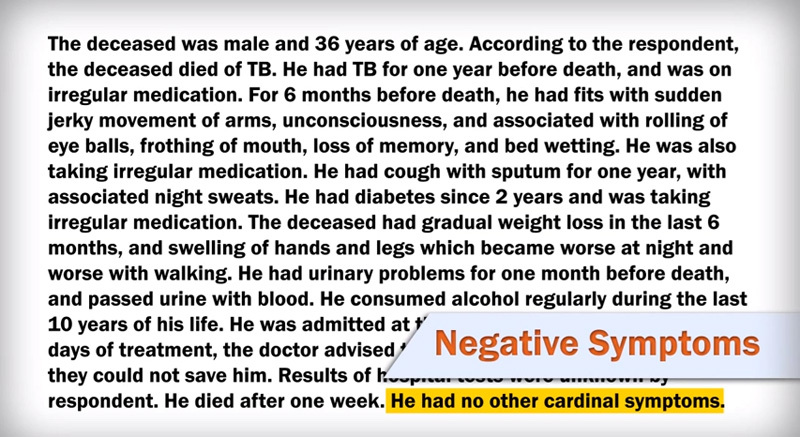 Last not least, this narrative excludes other 7 cardinal symptoms in the end. 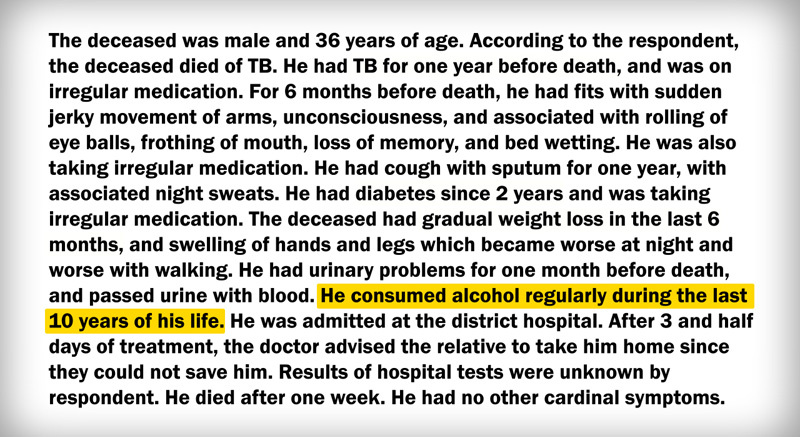 Alcohol or tobacco consumption do not need to asked during interviews since the Verbal Autopsy form has a section for them. 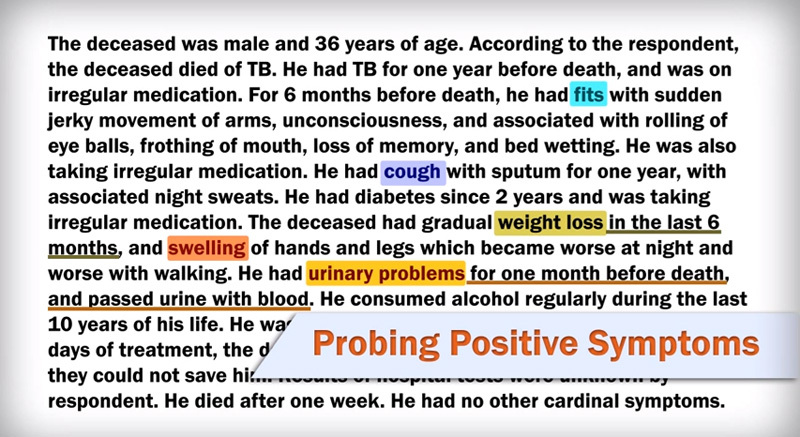 Sometimes the respondent will tell you about a diagnosis or symptom that is NOT in the cardinal symptom list (e.g, Live Interview Case 4). In these cases, you should obtain first the history of that problem, any diagnosis and treatment (e.g. details of throat pain, diagnosis made by a doctor, or any other tests), and then return to go through the cardinal symptom list one by one to make sure all 12 symptoms for adults or 9 symptoms for children and neonates are covered. Remember; use your good judgment and common sense- get a history of what happened to the person!